I’m looking forward to seeing a new play about the Titanic disaster, which is being showcased in London later this week. Written by Robert Neal Marshall, the American actor and director, 41N 50W tells the story of the tragedy through the eyes of witnesses and survivors. Their words are taken from the US Senate inquiry into the disaster, which opened in New York on Friday April 19, 1912, just four days after the sinking itself. 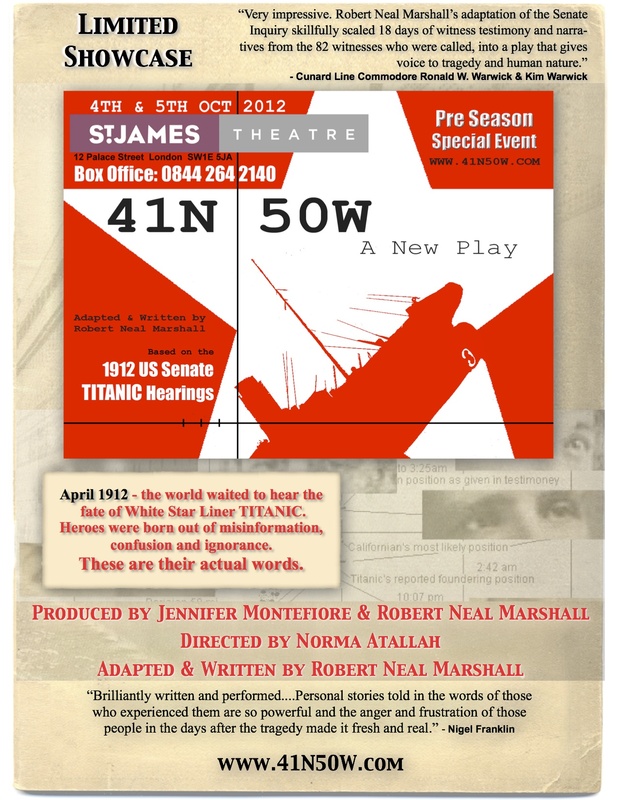 41N 50W is in the Studio at St James Theatre, 12 Palace St, London SW1, with performances on Thursday October 4 at 3pm and 8pm, and Friday October 5 at 6pm and 8.30pm.